Clear Polycarbonate Mug - A tough clear plastic mug with a large handle. 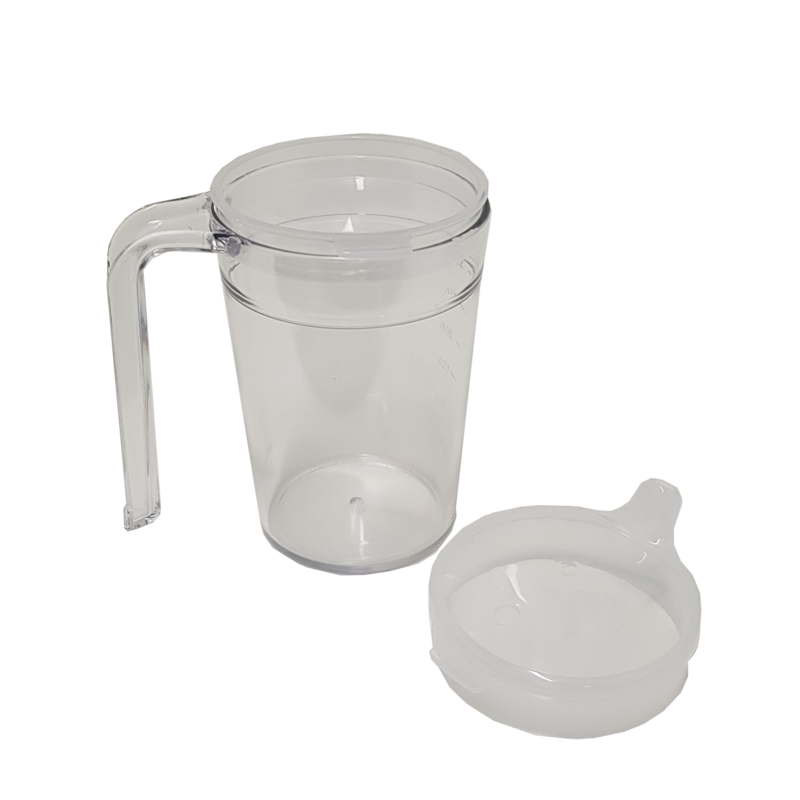 It is supplied with two lids; one for use with a straw and one with a drinking spout. The mug is dishwasher safe, but not the lids. Can be used in a microwave oven.